This beer was pretty good. 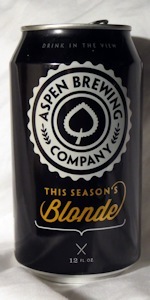 I went to the tap-room in Aspen, and I had every beer they had available. They were all pretty good.